Located inside the Foot & Ankle Center, we are Richmond's first, original and most experienced medical-grade nail spa, offering manicures and pedicures in a hospital-clean environment. Scroll down to see all our options for beautiful hands and feet. Medical-grade pedicures remove (or soften) hard skin, preventing discomfort that may limit your mobility and prevent you from participation in normal activities. Pedicures also help keep your nails healthy. Good foot hygiene helps prevent many foot-related ailments, such as ingrown toenails and fungal infections. Essential Pedicure – Soak your feet in our whirlpool tub and unwind in our relaxing massaging chairs. We’ll trim and file your toenails, remove excess skin from the feet, exfoliate the legs and feet with a sugar-crystal scrub and massage them with a moisturizing lotion. Finish with a buff or polish from our extensive selection of OPI® colors. Spa Pedicure – Do you have dry or damaged skin, or want a longer massage? This pedicure starts with our Essential Pedicure and then adds a hydrating foot mask and an extended massage on the legs and feet using a hydrating lotion. Pamper Me Massage Pedicure – This is our Essential Pedicure plus an extended foot and leg massage for the ultimate relaxation, followed by a paraffin dip of both feet to lock in moisture and give you the softest skin. You’ll also receive a complimentary touch-up Baby Bottle of OPI® polish. Reflexology Pedicure – This is the pedicure you have been waiting for. Sit back, relax, soak your feet in a warm footbath, enjoy the state-of-the-art massage chair and let us do the rest. Reflexology is an ancient Chinese belief that all of the body is connected to the bottom of the feet, hands, and earlobes. This pedicure will treat your feet to our Essential Pedicure and then add a 15-minute reflexology session. You will feel so relaxed and revitalized that this will be the only pedicure you will ever want. NEW! 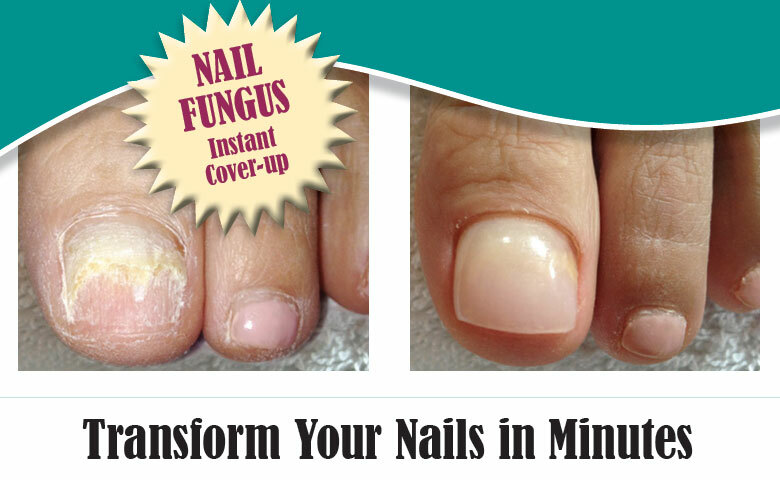 Keryflex Pedicure Covers Fungal Nails – If you're being treated for toenail fungus and don't want to have to wait for months for clear nails to grow in, a Keryflex pedicure may be for you. Unlike regular artificial nails, a Keryflex pedicure is designed especially to adhere to and cover fungal nails with a flexible, durable and attractive protective coating. It lasts up to eight weeks, and you can polish your nails as normal. Applied in our clean, medical grade spa under the supervision of podiatrists, a Keryflex pedicure can transform the appearance of your nails from fungal to fabulous in a matter of minutes. Check out the video below! For an appointment, call 804-320-FOOT / 320-3668 or submit an appointment request. Diabetic Pedicure - This pedicure is designed to meet the special needs of people with diabetes. Since diabetics may have a more difficult time healing and are more susceptible to infections, our Diabetic Pedicure is extra gentle and uses instruments less likely to damage the skin. Also, diabetes tends to dry out the skin, which increases the chance of infection. This pedicure incorporates foot masks and hydrating lotions to make the skin as soft and supple as possible. NOTE: Not all diabetic clients qualify. You must have adequate control of your disease and not have severe peripheral arterial disease. If you are unsure if you should have a pedicure, we’ll help you make an appointment with a podiatrist at the Foot & Ankle Center. Chemotherapy Pedicure – Maintain good foot health and decrease the chance of an infection with this pedicure. Start with a relaxing soak in a warm whirlpool bath with Tea Tree oil to soften and hydrate the skin. Tea Tree oil also has natural antifungal properties. We’ll trim your toenails, leaving a little bit of free edge (to reduce the chance of skin damage). Then we’ll gently push back cuticles, using an orangewood stick to decrease the chance of breaking the skin, and file and remove dry, dead skin. We’ll gently exfoliate your legs and feet, apply a mask to help hold in the moisture, and then provide a relaxing, hydrating gentle massage to increase circulation and lock in moisture and nutrients. Finish with a buff or polish from our extensive selection of OPI® colors. NOTE: Your Chemotherapy Pedicure may vary from the above description depending on the type of chemotherapy agent you are receiving and when you last received a treatment. Before we can provide you with a pedicure we will need to know the particular chemotherapy medication that you are receiving and the date of your last treatment. As a general rule, the best time for you to receive your Pedicure is just before or after your chemotherapy treatment. Arthritis Pedicure – We start with our Essential Pedicure and then add an extended massage that gently puts joints through their full range of motion to decrease stiffness. Your feet will then be placed into a warm, deep-heating paraffin dip to increase circulation and joint mobility. Schedule an Arthritis Pedicure regularly to help relieve stress on the joints and decrease arthritis pain. You’ll also receive a free bottle of Biofreeze® (retail value $12.00) to help maintain joint comfort between pedicures. All manicures at the Foot & Hand Spa start with a pleasant soak to soften the cuticles. We then trim and file your nails and push back the cuticles. Finish with a buff or polish from our extensive selection of OPI® colors. Essential Manicure – Start with a pleasant soak to soften the cuticles. We then trim and file your nails and push back the cuticles. A relaxing moisturizing lotion is massaged into the arms and hands. Finish with a buff or polish from our extensive selection of colors. Spa Manicure – We start with an Essential Manicure, then add a soothing hydrating mask, covered by hot towels to help set in the moisture. This is followed by an invigorating massage on the arms and hands. Finish with a buff or select a nail polish color from our extensive selection of colors. Pamper Me Massage Manicure – This is our Essential Manicure plus a sugar scrub, extended massage, paraffin dip and a complimentary touch-up mini bottle of polish. Arthritis Manicure – Our Essential Manicure with extras added, to meet the special needs of clients with arthritis, inclulding an extended massage that gently puts joints through their full range of motion to decrease stiffness, followed by a warm, deep-heating paraffin dip to increase circulation and joint mobility. Schedule this service regularly to help relieve arthritis pain and stress on the joints. 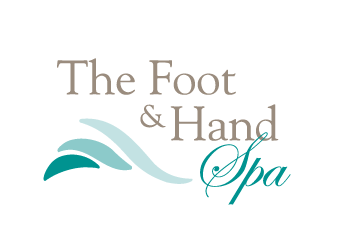 The Foot & Hand Spa is an independently owned and operated business, located inside the Foot & Ankle Center, on the campus of Johnston-Willis Hospital.